Microsoft likes to build suspense around its new launches and speculations are rife about a new Surface Mini launch. Even before Microsoft launched its Surface Pro 3 tablet earlier in May, there were rumors about a mini version of the tablet in the works. The launch event for the Surface Pro 3 in New York City went without a word about the Surface Mini. But after months of silence, fresh reports about the new miniature version of the Surface tablet are coming to light. GforGames, citing a Chinese publication UDN, found that the reports of Surface Mini’s arrival are imminent. There is little known about the device but it is expected to be launched before this year’s end. Microsoft hasn’t commented on the rumor yet. UDN’s confidence in the new slate’s arrival is based on the skyrocketing Surface revenue since last year. According to The Verge, Microsoft garnered $908 million during this quarter in revenue from Surface tablets while it was only $400 million last year. 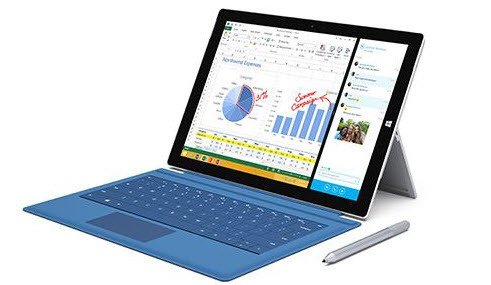 The spike in revenue was largely contributed by the Surface Pro 3 for its top-of-the-line specs and incredible design. In terms of the Surface Mini’s specifications, the only known fact is that it will either feature an 8-inch or 10.1-inch display. It is also expected that the tablet will be among the first devices to run Microsoft’s latest Windows 10 OS out of the box. This means, even if Microsoft unveils the Surface Mini later this month, sales will only commence sometime mid-2015 alongside Windows 10 consumer release. It is unclear why Microsoft is delaying the release of the mini Surface tablet when it was initially reported that the launch will accompany Surface Pro 3 earlier this year. GforGames suggests the possible reason could be to focus on the marketing of Surface Pro 3. Now that the Surface Pro 3 has picked up, it seems the right time for the software giant to expand its lineup with an alternative to the 12-inch tablet. How does the Surface Mini seem to you in comparison to other tablets on the market? Let us know by leaving a comment.